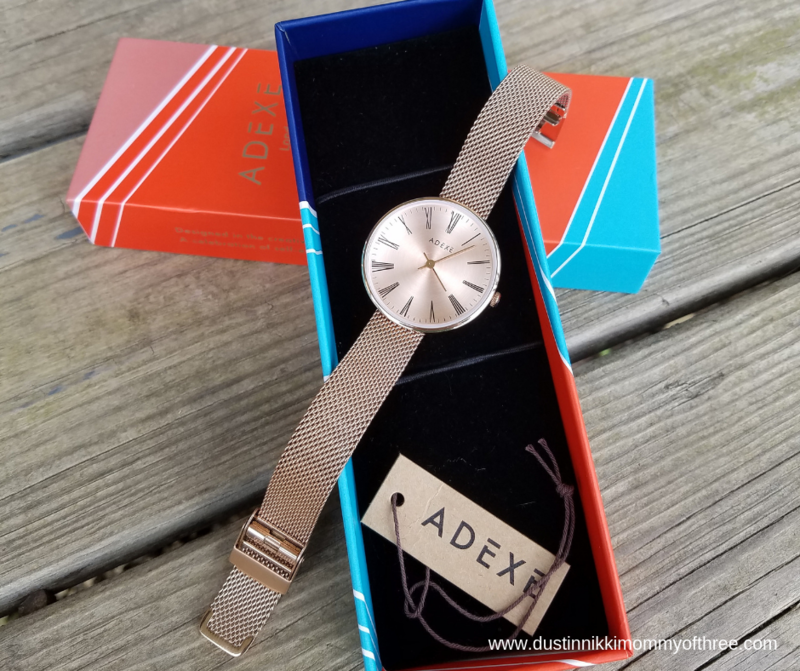 If you love watches, you should definitely check out these ADEXE London watches. 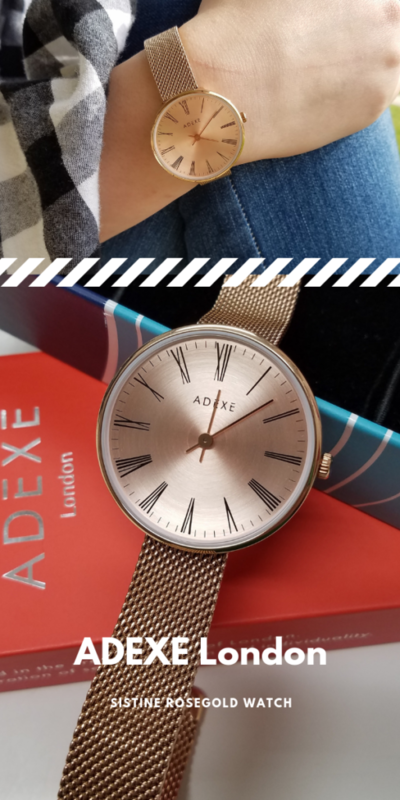 ADEXE London has a lot of really great watches for both Men and Women. They also ship internationally too. 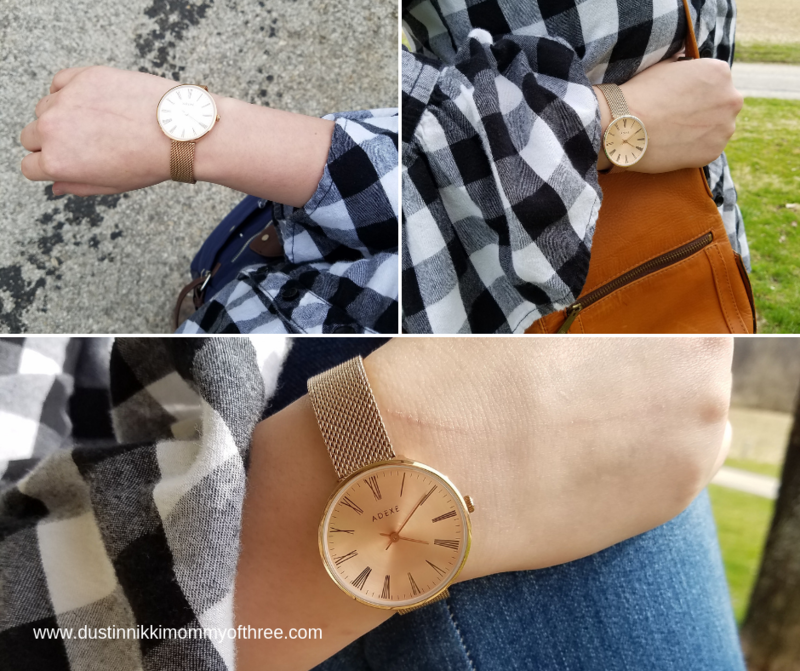 The first time I checked out their site, I fell in love with quite a few watches. One of my favorites ended up being the Sistine Petite Rosegold Watch. It looked really pretty when I first saw it and when it arrived, I thought it was one of the most gorgeous watches I have ever had. My watch arrived in a really nice gift box. The watch was strapped into it and sitting on a felt like cushion. I loved it because I thought it did a great job protecting the watch during shipping. 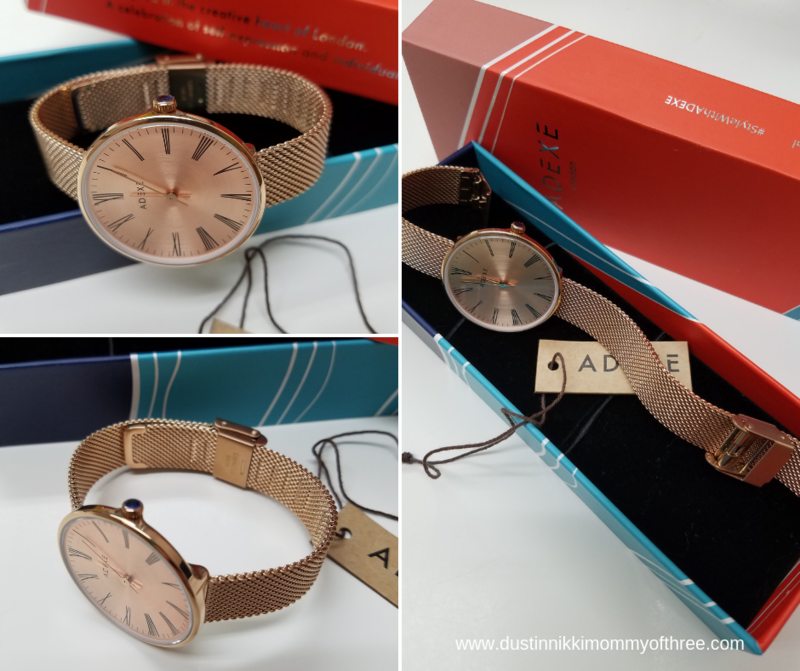 The Sistine watch comes complete with Rosegold Stainless Steel hand made mesh bands. I went with the petite because I don’t like bands that are really wide. The band width is 14 mm which is perfect for me. The bands are also adjustable as well. It comes with a little tool that you can use to make adjustments if needed. The case size is 35 mm and the watch face doesn’t look too big on my wrist. For me, that’s a huge plus because I am really picky about the size of watch I am wearing. I love the numbering and the face on the watch. The color is also rosegold. It’s easy to wind and I haven’t had a single issue with the time being off or anything. The clasp is absolutely amazing. The watch is so easy to clasp for a metal band watch it’s unbelievable. You simply open up the clasp and hook the one end on and snap it. Then on the other band, snap the other side closed on top of it. I have taken this watch off and put it on so many times and never had a problem with the clasp. The clasp can be moved along the band if you need any adjusting for the perfect fit. 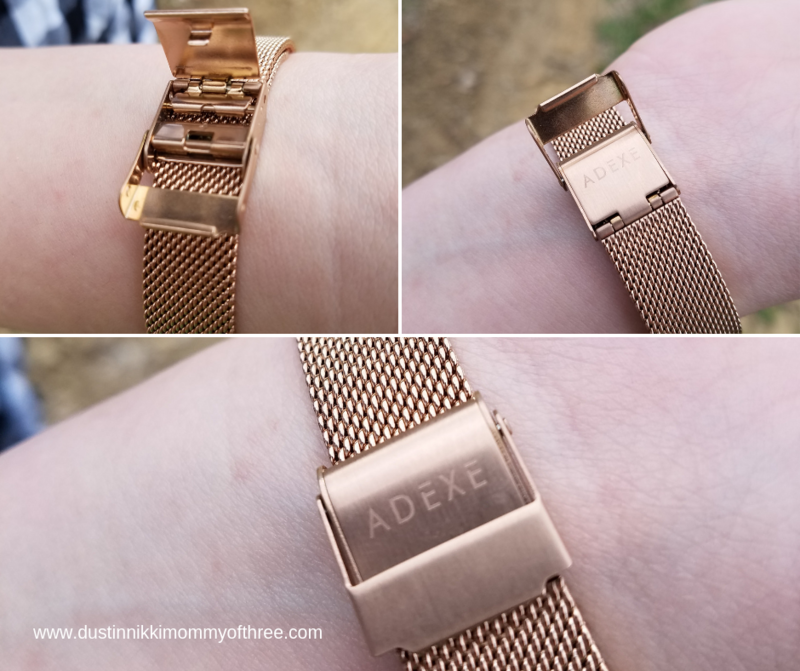 For this kind of watch, I thought making adjustments were so much easier than other watches of this style with metal bands. I love the way it looks in the light. It’s almost like it sparkles. I love shiny things. 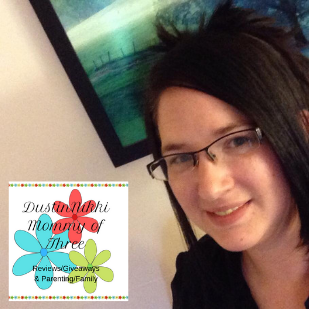 When I first got it, I was worried that it would look right wearing it with casual clothing. But in my opinion, I think it looks great with just about anything. It looks classy with a more dressed up look but also looks just as great with a casual look even if your casual look includes a t-shirt and jeans. 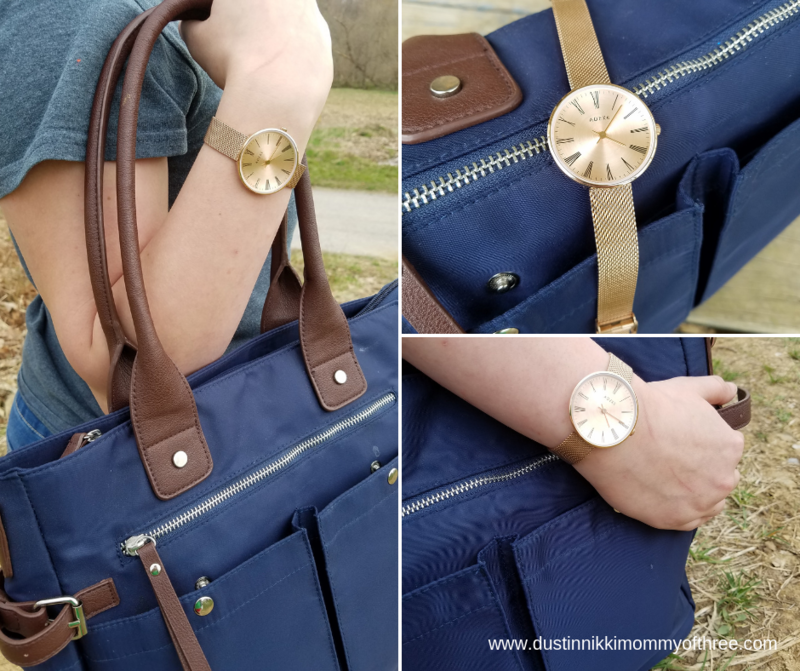 I do want to mention that even though I said the watch kind of sparkles and shines in the light (especially the sun), I rarely have any glare on the watch. I can read the time even when the sun is crazy bright. Again, I love the clasp. It’s the easiest on this type of watch I have ever had. There is one thing though. Make sure you hear it click into place/closed. If you don’t close it properly, it may come unclasped on it’s own. This has only happened to me once but it was completely user error on my part. This watch is so comfortable to wear. One of the things that I love about this style of watch is that it rarely feels sweaty underneath. Leather bands or other non metal bands sometimes gets that sweaty feeling underneath and it’s kind of…well, not great. So glad I don’t have this problem with this watch. I absolutely love it. I have received a lot of compliments on my watch. It looks so luxurious! 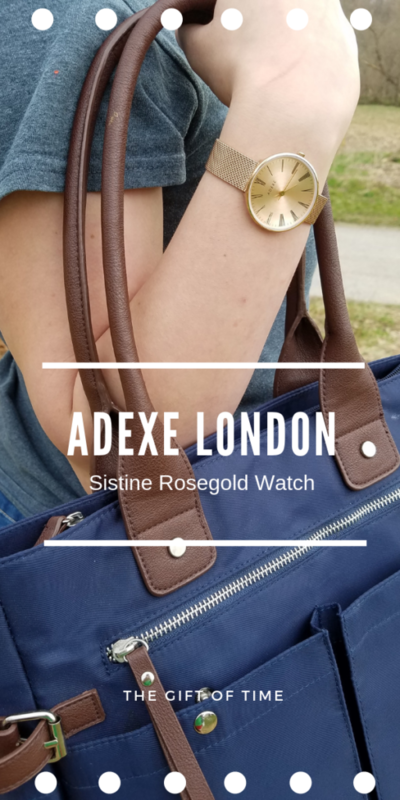 Buy It: You can purchase this Sistine Petite Rosegold Watch on ADEXE London website. Stop by and check out their selection of beautiful watches! We will also be having a GIVEAWAY coming up so stay tuned! 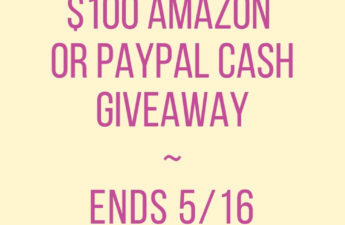 (Giveaway will end 5/1/19, open Worldwide, 18+ to enter). See giveaway post for more details. Disclaimer: I was not compensated for this post. 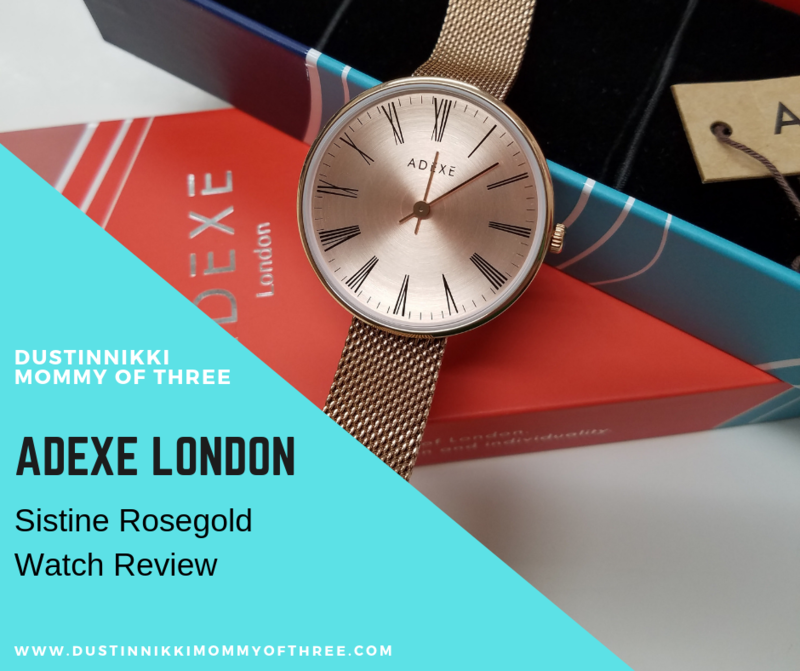 However, I received free product(s) mentioned in this post from a representative of ADEXE London in exchange for my honest review. 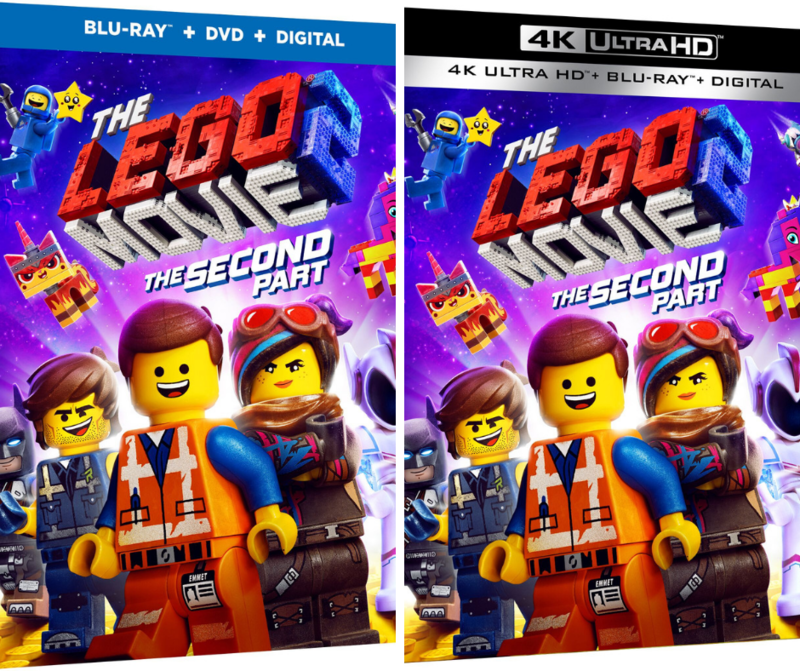 All opinions expressed in my review are 100% my own. It’s been a long time since I’ve worn a watch. 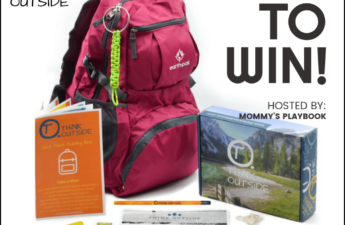 I would like to win this for my daughter. These watches are beautiful. I like that they give you so many styles to choose from. This is a beautiful watch! So stylish! And they have a great selection on their website. I love the stylist yet elegant design. What a gorgeous watch! I love the mesh band and size of the face. Plus, the color is beautiful. I could see me wearing this watch every day with everthing. Love the back story that this was inspired after the Sistine Chapel. That’s really cool! Nice sleek design, promising review.